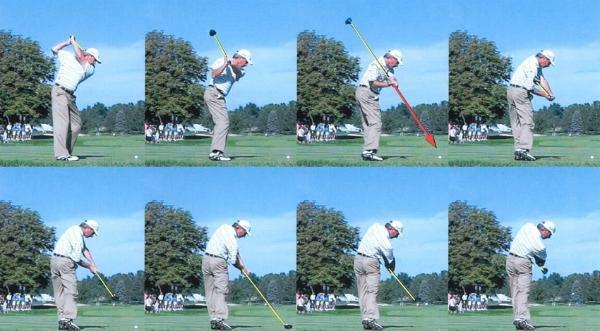 Key One: Deliver a square club head on the correct Impact Plane. 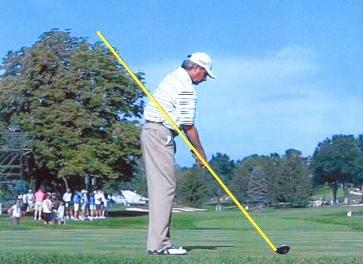 Key Two: Oil your swing with good Tempo, Timing, Rhythm, and Balance. Let's start with Key One.....The Impact Plane. Imagine a line that goes up the shaft of your club. It will probably be at an angle of around 45 degrees. 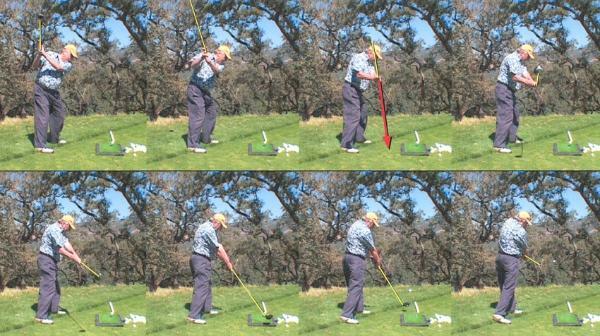 This angle varies between clubs and the build of the golfer. downswing you have to get back on this plane to hit the ball square, straight and long. of the hardest things to learn in golf. for a correct impact plane. to the angle at impact. Fred has returned the club on a perfect Impact Plane. side spin on the ball. This is a distance killer. downswing from the ground up. His hips shift toward the target and the arms drop down. downswing is way too steep and out of plane. at the beginning of the impact zone. Fred Couples displaying remarkable TTRP below. Key to hitting it Straight and Solid Number Two: Tempo, Timing, Rhythm, and Balance. T.T.R.B. Great Timing means that the arms are in sync with the body turn. rhythm. I love to see a consistent rhythm in my students. Whether it is fast or slow, it has to be consistent. Great balance is essential. 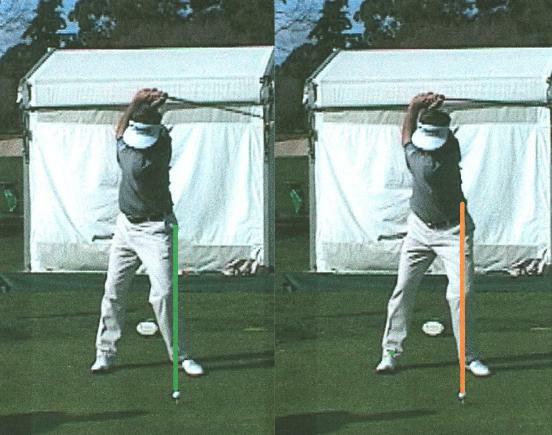 You should be able to finish your swing and hold your finish position for a count of two. T.T.R.B is the Oil that runs every great swing engine. fairway woods off a tee, strive for about 50% of your power and keep your balance. great way to warm up. still have oil in the engine. It is a great exercise. 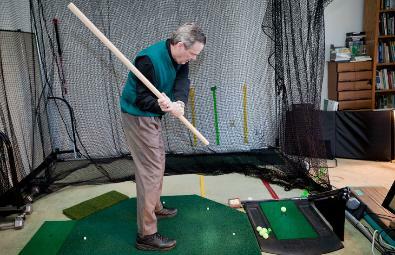 I do it with a weighted club at home every morning. Have a great Month. Hope you all can have some fun on the course.